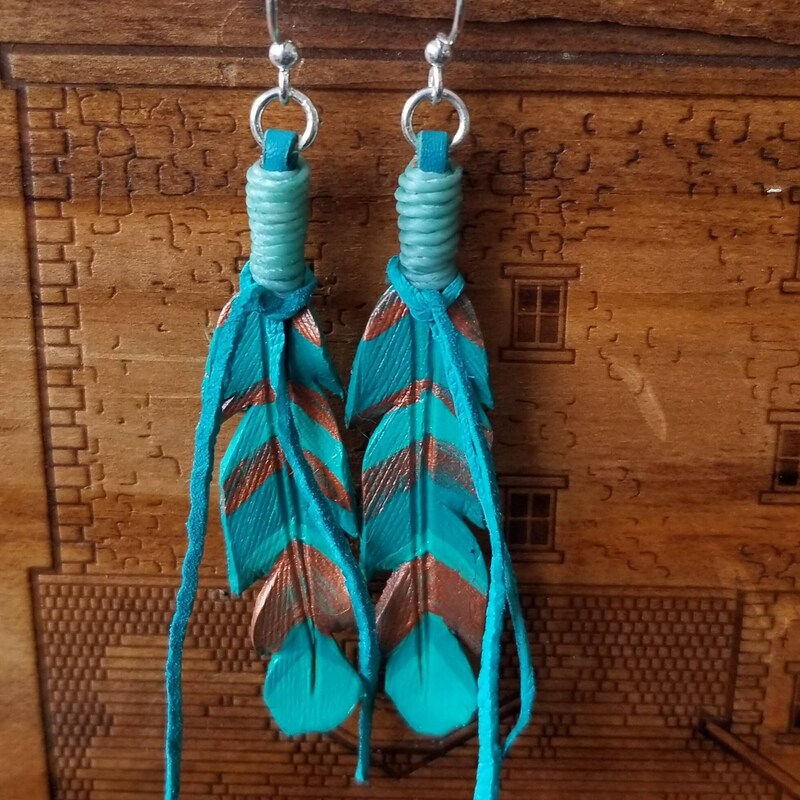 Like that favorite summer dress, these hand-made leather feather earrings will be your go-to pair when heading out for fun in the sun! Hand-cut from leather, the feathers were then wet-formed to give them their shape. 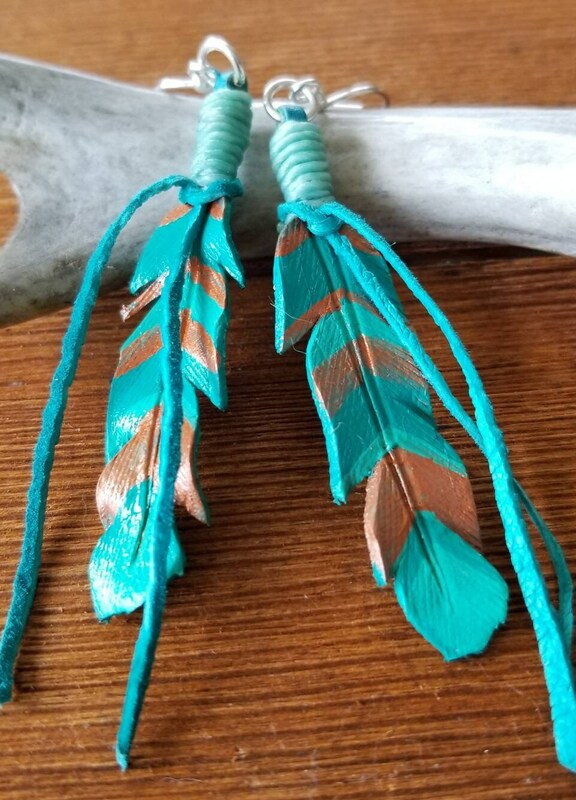 After drying, the feathers were then hand-painted in a turquoise and accented with copper chevrons. 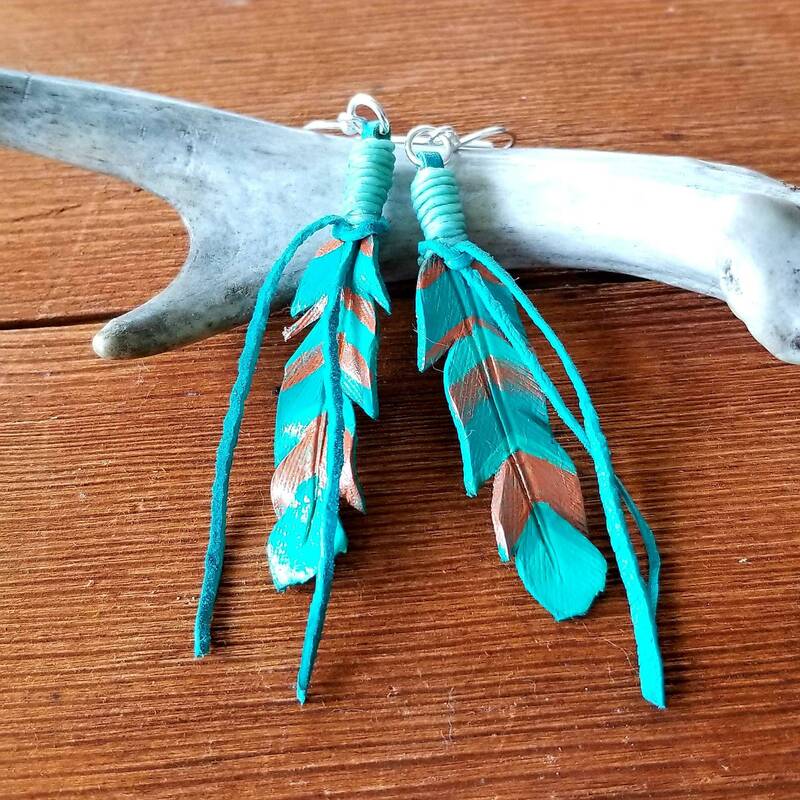 Turquoise suede ties complete the look on these 2 inch long earrings that hang from nickel free silver earring wires.